OVER the weekend a grand total of sixteen senior hurling and football finals were played - and with classics that went right down to the wire, hammerings and Cargin celebrating their Antrim success on the back of a tractor, there was something for everyone. Here are the weekend's results, including the small matter of Slaughtneil setting down a marker in Ulster. Reigning champions Slaughtneil march on with a goal-heavy trouncing of the Fermanagh champions at Owenbeg. The first half was closely contested but Slaughtneil's class erupted to the surface after the break, at one point hitting 1-7 without replay against a Derrygonelly side that managed just a solitary score in the second half. Next in line for Mickey Moran's men is a quarter-final clash against Monaghan's finest, Scotstown. Cargin's quarter-final win against St Gall's proved to be no fluke in Sunday's county showpiece at Ahoghill. The loughshore men led from start to finish against Lamh Dhearg on their way to clinching the McNamee cup for the first time since 2006. For their next outing, a shot against perennial Armagh champions Crossmaglen in Ulster. St Joseph's Miltown ended a 25-year drought to claim the Jack Daly Cup with a four-point win over Cooraclare. All square at 0-8 to 0-8 with ten minutes remaining, the Miltown Malbay based club kicked four points without reply to complete a remarkable renaissance for a club which plied its trade at intermediate level only three years ago. Cork's finalists will have to do it all again after Sunday's match at Pairc Ui Rinn ended all square. 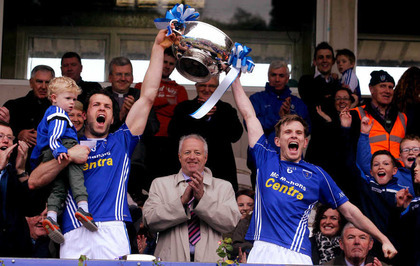 2012 and 2013 champions Castlehaven led 0-07 to 0-05 at the interval, but Nemo Rangers, inspired by an all-action performance by Mark Collins, kicked the last two points of the game to draw the match. Seven-time All-Ireland winners Nemo were anchored at centre-back by Kerry legend Tomas O'Se – a natural fit perhaps. St Eunan's surrendered their Donegal crown against Naomh Conaill men in Ballybofey. It marked a second ever championship victory for the Glenties men on the tenth anniversary of their first success. The loss of 17-year-old substitute Eoghan McGettigan to a straight red in the 40th minute could have been a critical blow, but points from Dermot Molloy, substitute Johnny McLoone and Aaron Thompson proved decisive. For Cargin, see Sarsfields, both putting agonising final losses in 2013 and 2014 behind them to achieve county glory at the third time of asking. Athy led by three points with a quarter of an hour remaining, but the Newbridge side captured victory with a late flurry of points by Alan Smith and Man of the Match Ray Cahill. 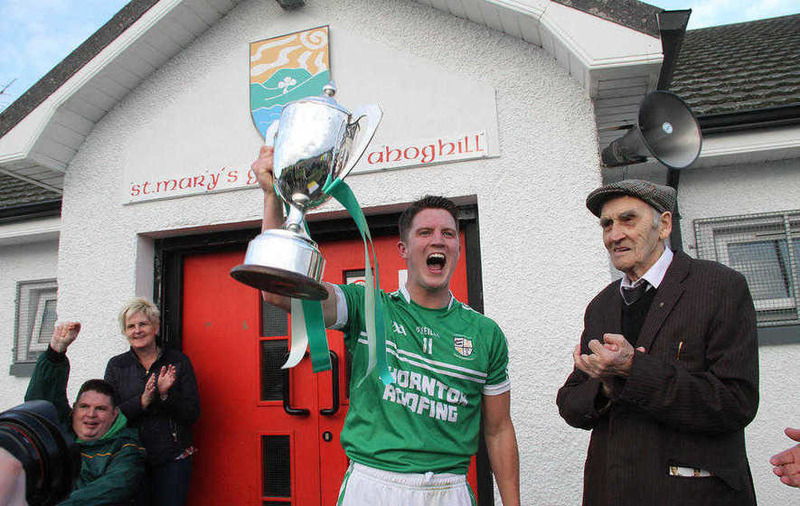 Portlaoise have all but annexed the Jack Delaney Cup, winning eight on the bounce, but an injury-time free from Emo forward Paul Lawlor ensured the county final ended level for the first time since 2001. Portlaoise led 0-7 to 0-4 at the break, but Emo stepped up a gear to outscore the holders 2-3 to 0-1 in a ten-minute spell early in the second half. The holders showed their calibre with a string of six unanswered scores, before Lawlor stepped up at the death. Newcastle West bridged a gap of 23 years to win the Fr Casey Cup in Fitzgerald Park on Sunday. Racing into a 1-5 to 0-1 lead, a cracking goal from Man of the Match Stephen Kelly gave them a cushion they would not relinquish. Next in line are Tipperary Champs Clonmel Commercials in the Munster club quarter-final. 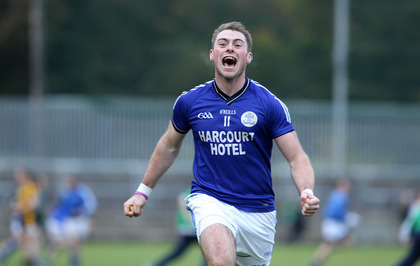 There was to be no fairytale for Monaghan Harps in Sunday's final and their 92-year wait for a county title goes on for another year. Scotstown, meanwhile, are top of the pile in Monaghan for the second time in three years, with early goals from Orin Heaphey and Conor McCarthy sending them on their way. Former Dublin All-Star Paul Curran led Clann na nGael to the Fahey Cup for the first time since 1996 on Sunday. Donie Shine conjured the only goal of the game midway through the second-half, and his side survived a late Pearses rally to emerge as one-point victors. Clonmel Commericals landed a 16th title despite conceding three goals to neighbours Moyle Rovers at Semple. Twice Diarmuid Foley struck for majors in the opening quarter, but the Commercials dusted themselves off and were only two points adrift at half-time. A minute after the resumption Liam Boland’s long-range free bizarrely ended up in the net, but that was as good as it got for the Rovers. Underdogs St Mullin's retained their county crown in some style with a seven-point victory over the 2013 Leinster Club Champions. Winning a record 25th title in Carlow, St Mullin's held their opponents to a mere five points from play. A last minute Joe Brady goal shattered St Rynagh's dreams of a first Offaly SHC title since 1993. Coolderry looked comfortable at 1-11 to 0-07 in the early stages of the second half, but St Rynagh's had all the momentum when Ben Conneely fired to the corner of the net with 14 minutes remaining to give them a one-point lead. St Rynagh's maintained the upper hand as full-time approached before Brady's goal and a point from captain Brian Carroll decided matters. Holders Ballygunner reigned supreme in Waterford for the sixth time since 2001 with a four-point victory over Tallow. Both sides registered eight points in the first-half but Ballygunner outscored their opponents by six points to two in the final 15 minutes to secure the News and Star for the 14th time. Clonkill dethroned Raharney on their way to a 14th Westmeath SFC title at Cusack Park. Leading 0-7 to 0-5 at the break, Raharney took the lead when Killian Doyle goaled in the 42nd minute. Niall Dowdall responded in kind for Clonkill, effectively ending the holder's challenge. St James held on against the pre-match favourites to win their first ever Wexford SFC title. Deadlocked at 0-09 to 1-06, Brian Molloy and Kevin O’Grady kicked two huge points in the dying moments to claim a famous victory for the Ramsgrange club. At the second time of asking, Four Roads saw off the Pearses' challenge to clinch the Mickey Cunniffe Cup for the eighth year in a row. One point in arrears at the break, Four Roads ramped up their efforts after the restart to maintain their status as the linchpins of Roscommon hurling.